Independence Day is coming up July 4 and my FreePrintable.net sites are bursting with patriotic printables, from certificates to coloring pages. For Independence Day flyers, head to PrintableFlyerTemplates.net. 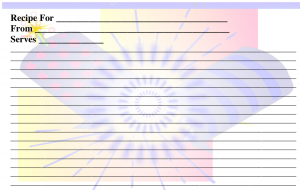 FreePrintableStationery.net and FreeLetterheadTemplates.net both have free patriotic stationery designs U.S.A. letterhead illustrated with stars, flags, and the Statue of Liberty. There are patriotic business cards at FreePrintableBusinessCards.net, free as a DOC file with the site URL at the bottom of the card or $3 for a version with no URL. Share your favorite potluck or barbecue recipe on recipe cards from FreePrintableRecipeCards.net. The cards come in various sizes, lined and unlined, and are free as PDFs to write on by hand or $7 for a DOC version that can be customized in Microsoft Word. You’ll find commemorative Independence Day certificates plus ribbon certificates to present to businesses or individuals who support patriotic causes at FreePrintableCertificates.net. The certificates are is free as a PDF, or $5 each for a DOC version that can be edited. 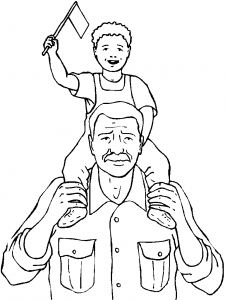 The free Independence Day coloring pages from FreePrintableColoringPages.net have images of fireworks, kids, eagles, flags, and other iconic images. Happy Fourth of July!